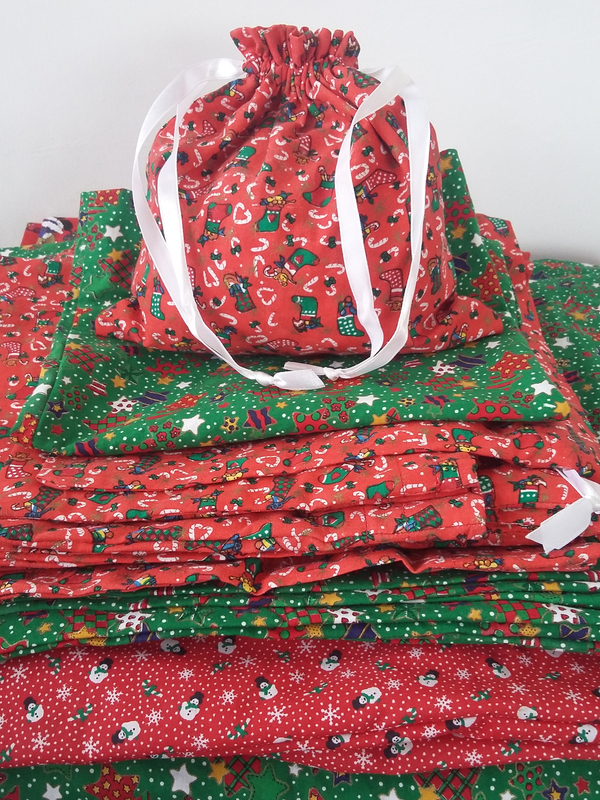 Use fabric gift bags under the tree instead of wrapping paper this year and next year and the year after that. 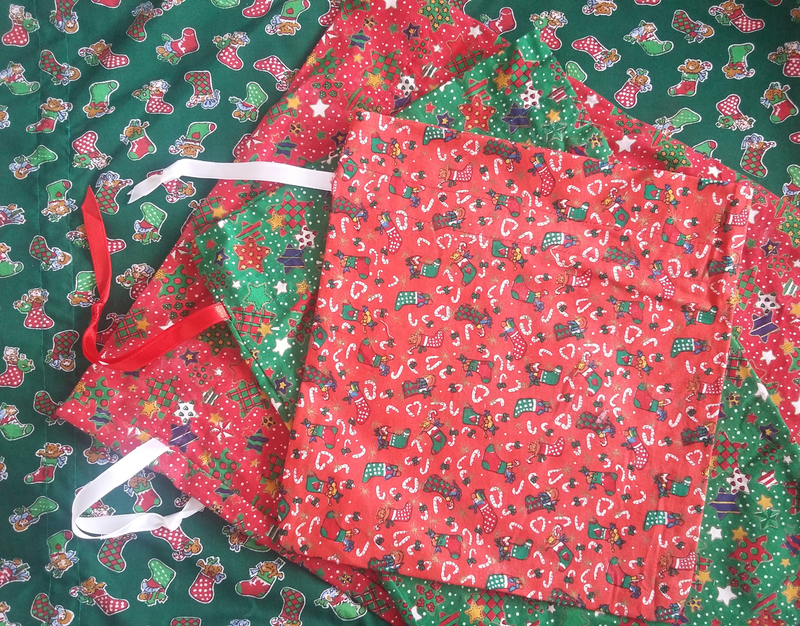 These locally made, hand crafted, durable, reusable Christmas gift bags are perfect for sweets and candies, biscuits and cookies or other goodies and gifts to make your eco-choices easy … naturally. 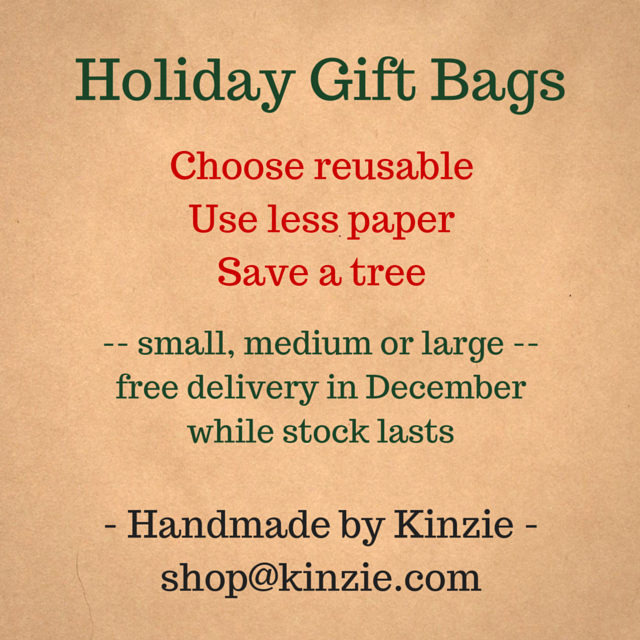 The bags are machine washable and all seams are finished to last a lifetime. Feel free to request something made specially for you. 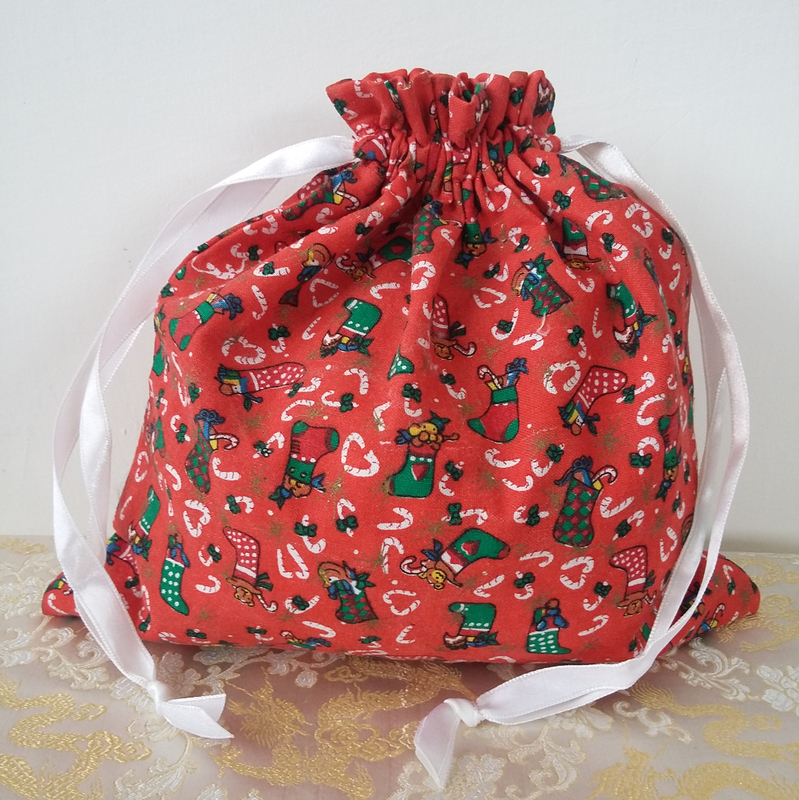 These reusable drawstring gift bags are made of cotton print and matching ribbon in bright red and green.